Our grandma brought us a large box of Jumbo popsicle sticks (compliments of Deb) and mentioned that if we boiled them we could make popsicle stick bracelets out of them. We didn't believe it, but holy cow...she was right. View close up shots of our popsicle stick bracelets on our Facebook Page! 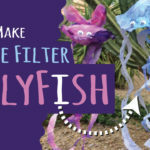 Using inspiration from suzyssitcom.com and boiling techniques on other blogs, we created some pretty hip popsicle stick bracelets for our friends. 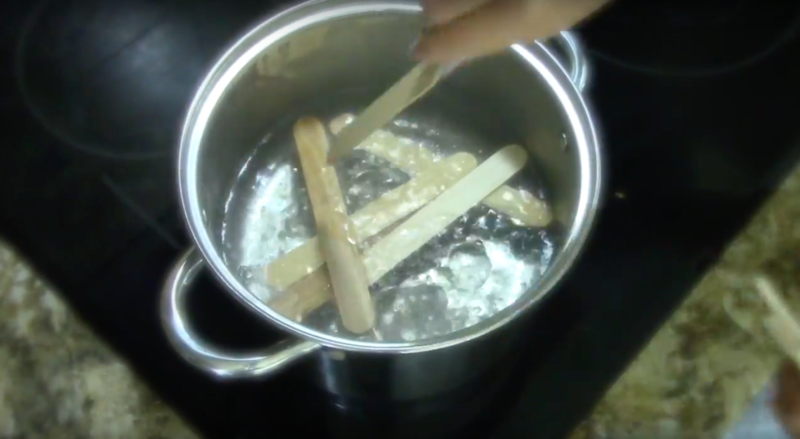 STEP 1: Boil Jumbo or regular sized popsicle sticks for about 45 minutes and let them soak another 30 minutes. 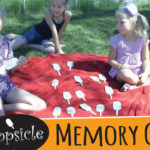 We used the jumbo size for older kids and adults and saved the regular sized popsicle sticks for children aged (3-5). 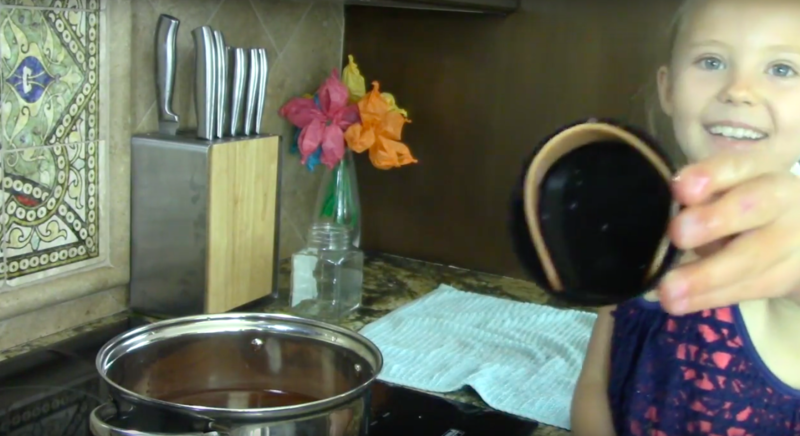 Note: You'll want to boil more than you'll need because some of them will break when trying to fit in the glass or lid. Totally normal. STEP2: While the popsicle sticks are warm pull them out one by one and bend them slowly the fit inside a glass jar or lid. 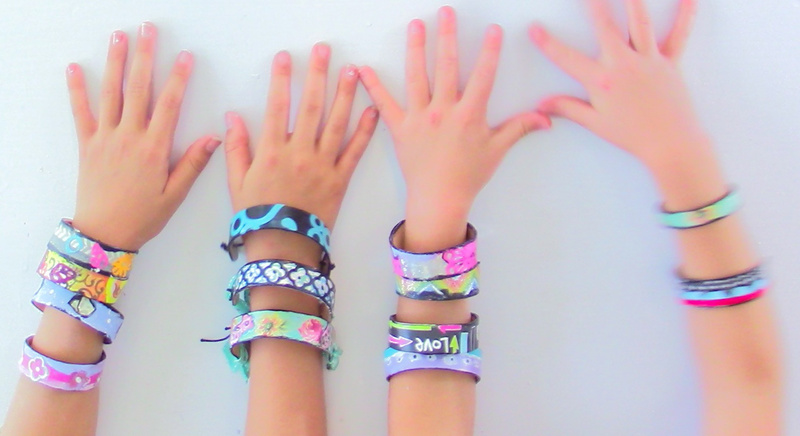 We used varying jar sizes to fit kids wrists and adult wrists. We also bent our popsicle sticks by laying them on a dish towel to protect our hands from the heat. STEP 3: Let them dry for 24 hours. When they are fully dry the popsicle sticks will actually drop into the glass jar or easily be removed from the lid. The popsicle sticks will also be permanently curved. 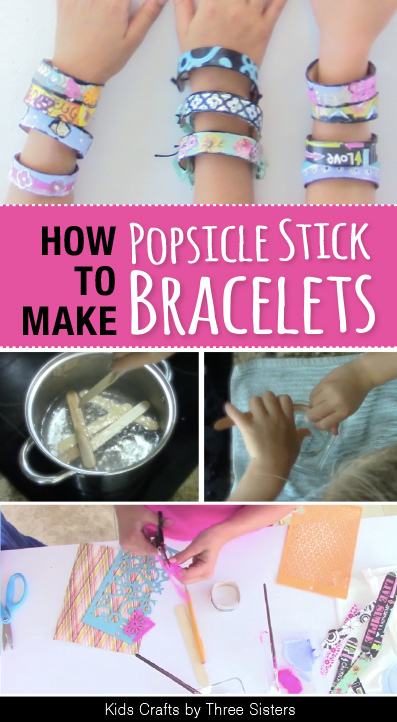 You can use paint, scrapbook paper, hot glue, yarn, just about any technique you can think of to decorate your popsicle sticks. 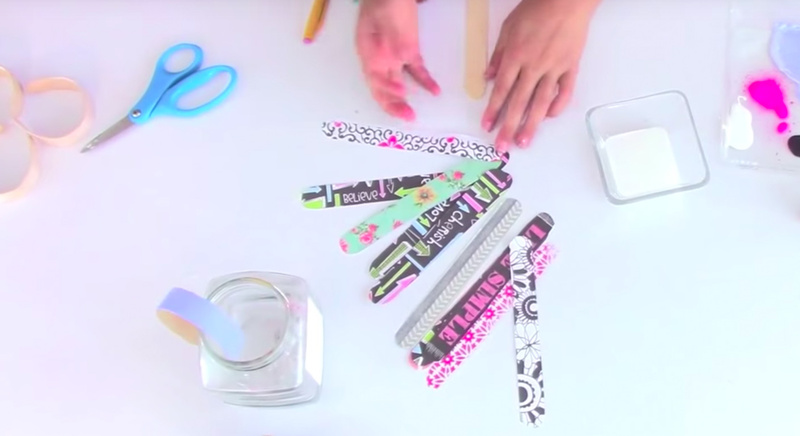 In our video, How to Make Popsicle Stick Bracelets, we focused on paint & scrapbook paper. STEP 4: While this first decorating step is optional, we thought it made the bracelet design more complete. We began decorating our popsicle stick bracelets by applying a thin layer of paint to the top, side and underside of the bent popsicle stick. 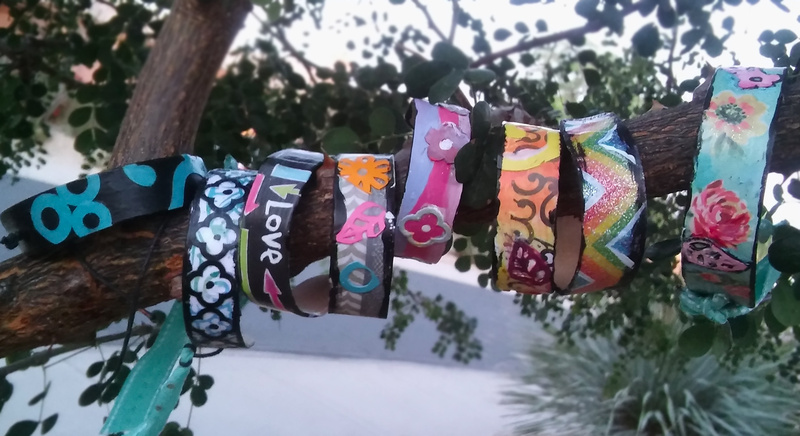 One note of caution when adding paint or glue to the bracelet, make it thin layer. Too much WET paint will cause the bracelet to expand from it's current shape. Once the paint is dry you can move onto the next step. STEP 5: Trace the shape of an unboiled jumbo popsicle stick onto scrapbook paper and cut the designs out. 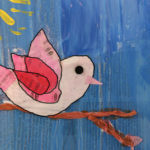 From here you will apply a thin layer of ModPodge to the bracelet and adhere the scrapbook paper to the curved popsicle stick. STEP 6: Let the paint dray and hand out to your friends! Hey, and if you're one of those people who learn faster by watching a video, we've got you covered. 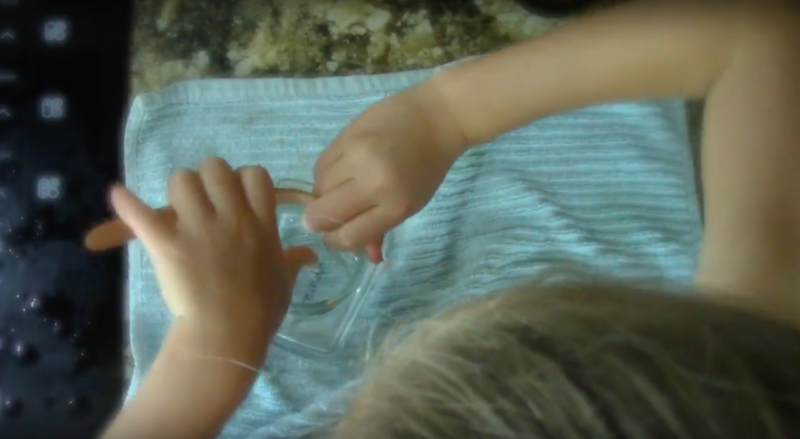 Kids Crafts by Three Sisters filmed a tutorial on How to Make Popsicle Stick Bracelets a few years ago! 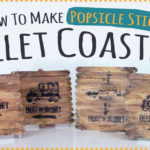 Interested in more popsicle stick crafts we've also made popsicle stick coasters for Father's Day and even a popsicle ice cream memory matching game.